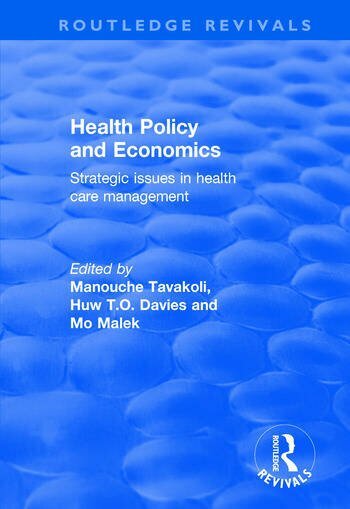 The title was first published in 2001: The papers in this volume, selected from nearly 100 submissions to the Fourth International Conference on Strategic Issues in Health Care Management, reflect the work taking place in health economics. The first five chapters in the collection examine the role of economics within clinical guidelines and suggest methods of improving the quality of economic evaluation which is now at the centre of decision-making in the NHS. The second section of the book is comprised of two papers on inequalities and access. The third part contains four papers, two of which cover reviews and tackle some theoretical issues regarding demand, and two are applied case studies. The fourth section assesses performance, and the final four papers review health reforms in a number of countries including the UK, Canada, France and Turkey.